Open plan cabin designed to feel like your connected with the nature outside your window, the king bed is the main focus of this cabin which is open, bright and airy. An enclosed second bedroom consists of single beds. Full kitchen with retro dining, lounge TV/DVD player, reverse-cycle air conditioning will keep you cool or warm. Can sleeps 4, though more suited for a couple's hideaway. 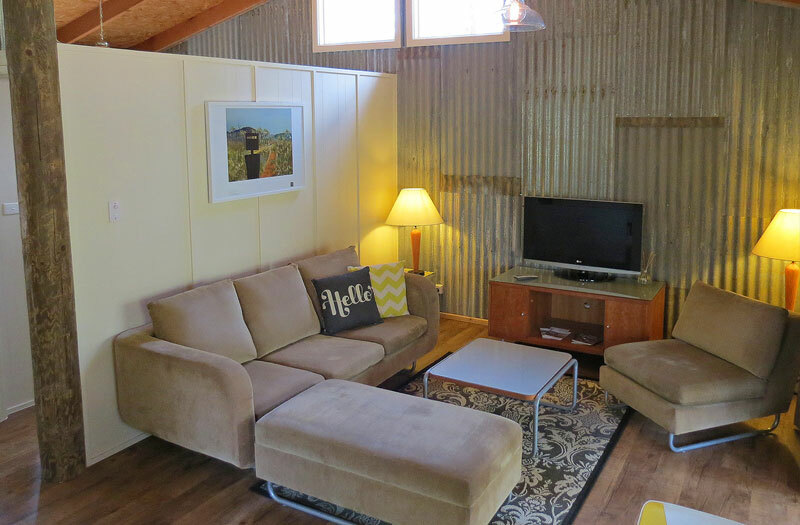 Classic corrugated iron themed cabin. Featuring queen beds in both bedrooms with a trundle option for junior, shared bathroom. Perfect for 1 or 2 couples. Open, spacious, earthy and light. Full kitchen, retro dining, large lounge room, TV/DVD, mini sound system with bluetooth/USB, modern lighting, reverse cycle air-conditioning and a comfy verandah to relax on. Extra adult $50, child $25 per night. Designed for two couples, 2x queen bed in each bedroom plus a sofa bed if needed, sleeps 4-6. 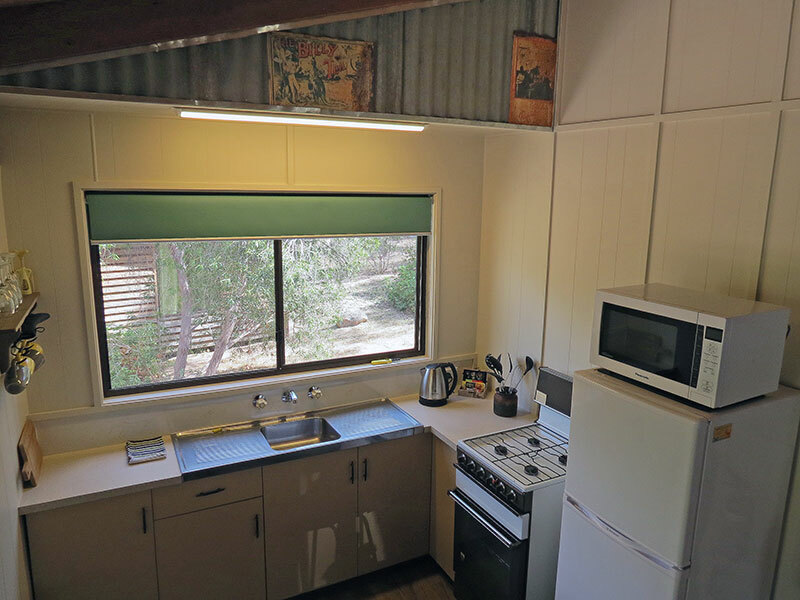 Full kitchen, large fridge, micro-wave, retro dining, lounge room, TV, DVD player with bluetooth sound system, reverse cycle air-conditioning and a comfy enclosed verandah. 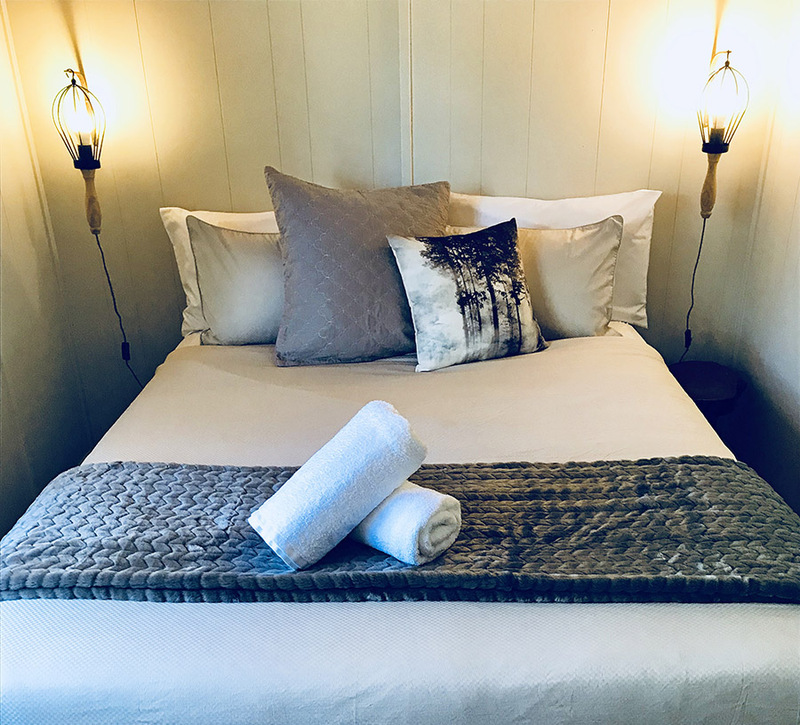 North facing country charm cabin with easy ramp access, Queen bed in main open plan room and single bunks in the second bedroom, trundle available for juniors. Full kitchen, large fridge, retro dining, lounge room, TV, with mini sound system with bluetooth/USB/DVD. Reverse-cycle air will keep you cool or warm. Comfy verandah with a fire pit out front to roast marshmallows. 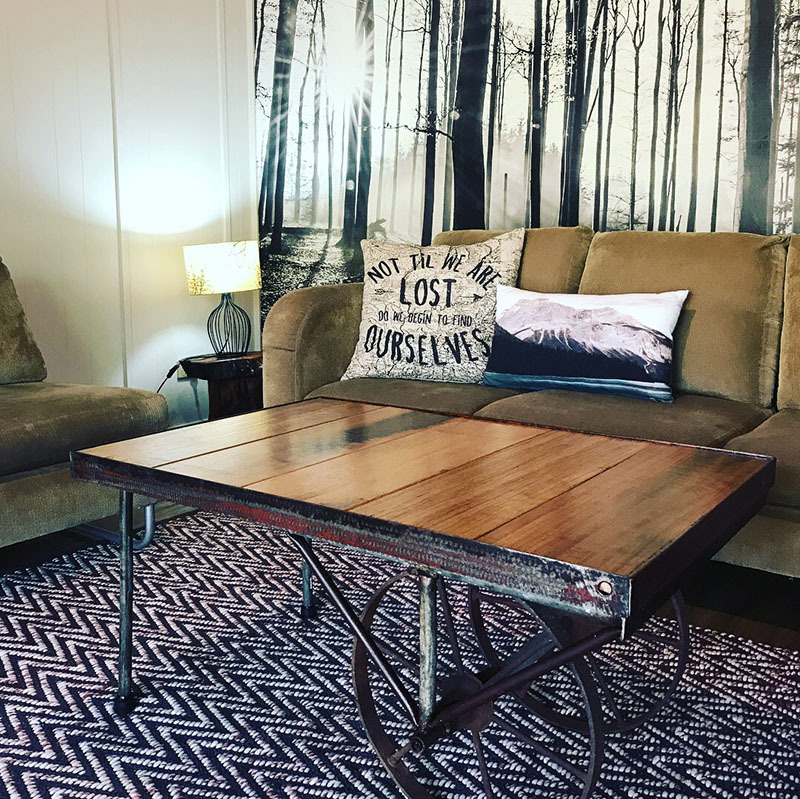 Perfect for your next modern family get-together or just a girls/boys weekend away. 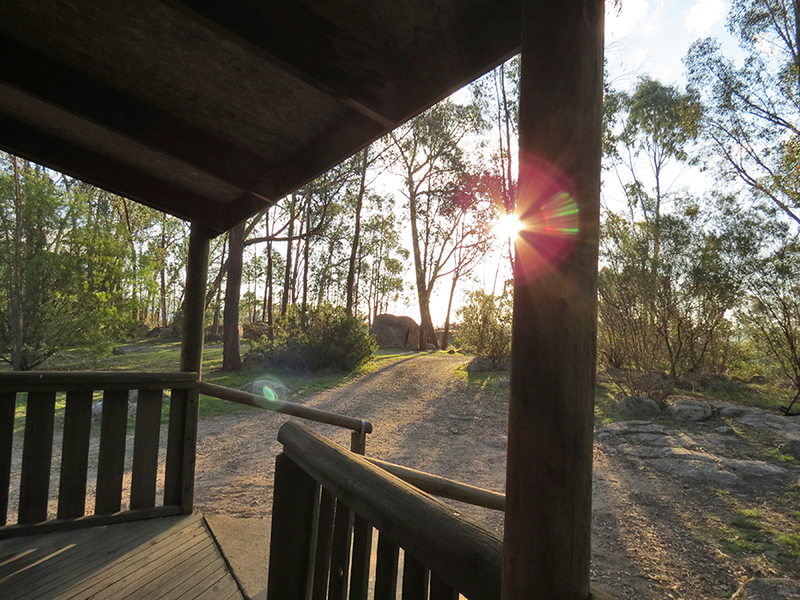 All four cabins at Woolshed Cabins can be booked so you can have the whole place to yourself, a communal BBQ area with picnic tables you can create a home away from home. 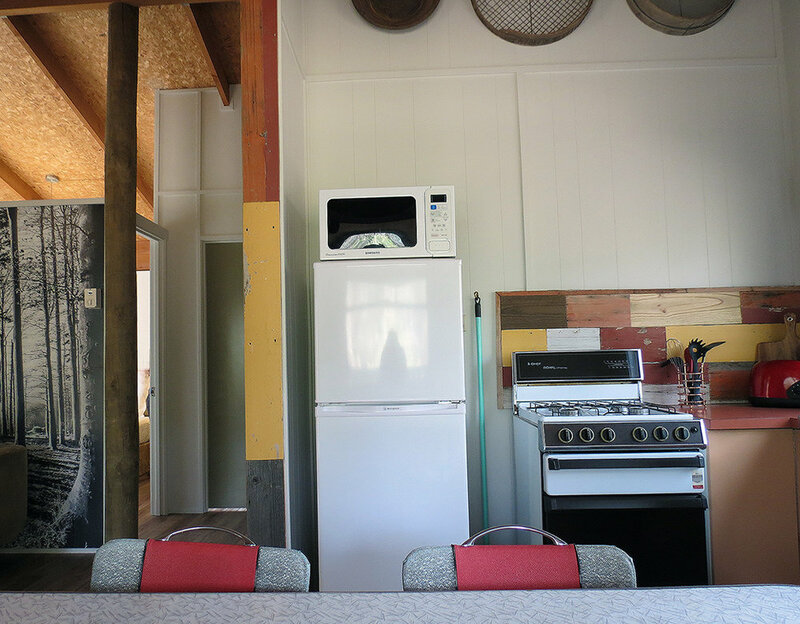 ALL CABINS... have full kitchens with gas oven, microwave, fridge, retro dining table, cutlery and cooking equipment, tea towels, salt and pepper, complimentary tea and coffee. Lounge, TV, DVD & Bluetooth stereo, Bathroom consists of toilet, shower, basin, some cabins have a hip bath, hair dryer plus complimentary Eartherapy shampoo, conditioner and soap. 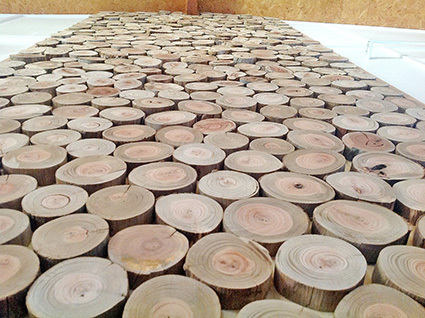 Split system air-conditioners. Enclosed verandah 7m x 1.5m. Cancellation fee's may apply - If less than 1 week notice from the time of stay, no refund. * A $25 dog stay fee per dog and conditions apply.